Check out our FabFitFun spoilers and FabFitFun reviews to see what you can expect with this quarterly subscription box for women! Now through 5/14, Cratejoy is having a Mother’s Day Sale! Use coupon code MOM30 to save 30% off any length subscription from the Mother’s Day Flash Sale Category! Are you going to grab anything from this sale? Now through 5/13 (or while supplies last), Luxe Pineapple is offering a deal on a 6-month non-renewing subscription for Mother’s Day. Just visit this page to add the $120 pre-pay subscription to your cart, and use coupon MOM18 to save $20 at checkout! The first month to ship will be MAY. If May is sold out the first box to ship will be June. This is a one-time payment / non-renewing option available to new LuxePineapple Post subscribers. The thrill of beauty discovery brought you monthly by LuxePineapple Post. Each month we’ll send you 4+ beauty and beauty lifestyle items. We strive to support fellow small business owners and girl bosses! All LuxePineapple Post boxes are curated to a theme. We strive to incorporate seasonally appropriate pretties that work together. We source from small independent companies all the way up to global brands and everything in between. We will on occasion include a deluxe sized/travel sized product if we think it’s a must have. Boxes can include anything in the makeup, skincare, hair care, beauty accessories, jewelry, clothing accessories, and more. Check out our LuxePineapple reviews to see what types of products you may receive. Will you be getting this deal? Now through May 20th, get $15 off your first Bombfell order– no coupon required, just sign up here! Note: This discount will apply toward any items you decide to keep, so you’ll still be charged the $20 styling fee when you place your order. Bombfell is a men’s clothing and accessory subscription personal styling service that focuses on amping up the styles in your everyday wardrobe. When signing up, you take an in-depth survey so your personal stylist gets a feel for whom you are, what your style is, and what you’re looking for out the service. What makes Bombfell a little different is that you’ll get to review your box before it ships. Then you’ll have 7 days after delivery to try on everything in the box and decide what to keep and what to return. If you choose to keep 4+ items in a single shipment, you’ll get 20% off of your entire purchase. If you keep 3 items, you’ll get 15% off. If you keep 2 items, you’ll get 10% off. The Products: 5 clothing and accessory items selected for you based on your style. Check out all of our Bombfell reviews and the Men’s Clothing Subscription Box Directory for more clothing boxes! KiwiCo is having a Flash Sale! D.L. & Co. has a deal available now! Now through 5/13, use coupon code BOX10 to save 10% off the Modern Alchemy Box or the DL Box! This discount can be applied to the one-time box only. What do you think of the DL Box and the Modern Alchemy boxes? Are you grabbing one? BarkBox has a new deal for longer length subscriptions! Now through 5/16, use this link to get an extra toy free in every box when you sign up for a 6-month OR 12-month BarkBox subscription. (To redeem your Extra Toy Club membership, simply select “Yes, Please” on the Pupgrade page). Check out our Barkbox reviews to see what you can expect with this subscription! Bulu Box is a vitamin and supplement sample box. Each box includes a sampling of vitamins and supplements that help in all areas of health. Each box contains 4 to 5 premium samples plus lifestyle extras from time to time. Bulu Box Weight Loss was designed with the specific goal of weight loss in mind. Each box contains 4 to 5 premium weight loss items such as vitamin and supplement samples, fitness gear and healthy eating tools. Discover products to help you succeed with weight loss. Check out our Bulu Box reviews to learn more about this fitness and supplement subscription box. Loot Crate has just passed over an exclusive offer for MSA readers! Now through 5/19, use the coupon code MSA25 to save 25% off of any length subscription! Full details: *MSA25 promo can be applied to new, reactivating or upgrading subscriptions. Cannot be applied to Loot Remix or Limited Edition Crates. Contents may vary. Valid until 5/19/18 at 9pm PT. Now through 5/13 , you can get free bonus items with a new GoodBeing subscription! GoodBeing Box is $24.95 a month. Check out my Good Being reviews to get an idea of what has been in past boxes. Full details: Choose a Free Gift with your first Goodbeing box with any new Regular Membership or Gift Membership in addition to the basic box contents. Gift ships with first regularly scheduled membership box. Offer valid while supplies last. Please note: Promo codes applied to non-qualifying plans will not be fulfilled. Offer Valid 5/2/18 8:00 AM PST – 5/13/18 at 11:59 PM PST. Emma & Chloe has three Mother’s Day deals available now! For a limited time, use this link to get the March 2018 box for FREE when you sign up for an Emma & Chloe subscription! The Parisienne Bangle was featured in the March box – check out the review to get a closer look! For a limited time, use coupon code MAMAN to get a FREE piece of jewelry from the Mother’s Day Wishlist Collection when you buy one! Check out all of our Emma & Chloe reviews to learn more about this jewelry subscription! Now through 5/28, use this link to sign up for ButcherBox and get 2lbs of Free Wild Alaskan Sockeye Salmon with your first box! Every year the best sockeye salmon on the planet make their way to Bristol Bay, Alaska. We’ve partnered with fishermen who uphold strict fishing and handling practices to guarantee the highest quality. You’ll get 2lbs of Wild Alaskan Sockeye Salmon absolutely free in your first ButcherBox. Plus, all the 100% grass-fed beef, free-range organic chicken, or heritage breed pork thousands of families have come to count on from ButcherBox. The Cost: $129 a month + free shipping. The Products: 8-11 pounds of grass-fed beef, heritage pork, and free-range organic chicken. There are five different boxes available: beef & pork, chicken & pork, beef & chicken, all beef, or a mixed box of all three meats. Check out all of our Butcher Box reviews and the Food Subscription Box Directory! Beauty Heroes has a new deal available! While supplies last, use coupon code MOTHER to get a FREE OSEA Body Balm with your first Beauty Heroes box! Check out the full spoilers for May here! Now through May 16th, use coupon code WELOVEMOM to get your 2nd Honest Beauty Bundle for FREE! Just purchase your first bundle today, enter the coupon at checkout, and your next bundle will be free! Or, use this link to get a free trial! (A Beauty Bundle subscription is $50 for 3 items of your choice a month). Full Details: Eligible for new honestbeauty.com Bundle subscribers only. Limit 1 Promo Code per person/household. Offer expires at 11:59 p.m. (PDT) on 05/16/2018. Free second Bundle must ship by 08/01/2018. Offer not valid in Canada, APO or FPO addresses. Offer does not apply to Bundles shipped following the second Bundle, Add-on items, previous purchases, Gift Card purchases, Gift Bundles. Certain charges for return shipping may apply. Refunds on the full price Bundle will void the offer for the free second month Bundle. Code must be entered into “Promo Code” section at Checkout. Note, Promo Code will not apply if there is a Trial in your cart. Cannot be combined with any other promotion or redeemed for cash, unless required by law. Terms of offer are subject to change. For a limited time, save $20 off the first month of a new Honest Company Diaper bundle – no coupon required, just use this link. Learn more about the bundles from our Honest Company Bundle Subscription Reviews! Use coupon code WINTER to start your subscription with the Winter box; read our full review to get a better look at all the products! 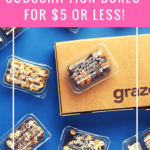 Use coupon code SPRING to start your subscription with the Spring box; read our full review to find out what’s inside! This free gift brings the retail value of your first box to $65. The Firebiner was included in the November box – check out the review here! For a limited time, use coupon code MSASPECIAL3 to get a FREE Hot Wheels Challenge Accepted Box when you sign up for a 3 or 6-month subscription! Check out our Hot Wheels Challenge Accepted Box reviews! Now through 5/31, use coupon code MAY30 to save 30% off your first month of KidStir! This coupon can be applied to any length subscription! KidStir was created to help kids have a “happy and healthy food connection.” It is a monthly cooking kit with sending recipes, tools and fun food-related activities for kids to learn from and create with adult supervision. The Products: A monthly cooking kit including recipes, tools, activities, and more. Check out all of our KidStir reviews to see what you can expect from this subscription! Now through 5/13, use coupon code MOM50 to save 50% off Cocotique past boxes! Check out my review of the Limited Edition box to see what you’ll receive – I think this is a great box! Use coupon code 10OFFMAY to save £10 off a 3-month subscription to MINTD Box! Use coupon code 15OFFMAY to save £15 off a 6-month subscription to MINTD Box! Use coupon code 30OFFMAY to save £30 off a 12-month subscription to MINTD Box! MINTD Box is a luxury beauty box from the UK that ships worldwide! You can get the box monthly or bimonthly, and each box includes 4-5 full size or deluxe size beauty products. Check out the full May spoilers here! Sock Panda has a coupon available for Mother’s Day! Use coupon code BESTMOM15 and save 15% off any length subscription. Check out our Sock Panda reviews to see what you can expect from this subscription! As of today, if you sign up now, your first box will be the April box. Sports Crate is having a sale! Now through 5/14, use code MOTHERSDAY20 to save 20% off your first month of MLB Diamond Crate or NBA Courtside Crate! The Products: Each crate includes officially-licensed, team-specific items, including gear, collectibles and more. Check out our Sports Crate reviews to see what kind of items you can expect from this subscription. EarFleek is a monthly earring subscription that delivers a new pair of earrings each month to your door. Choose from three different subscription styles: “Boho Babe”, “Young at Heart”, “Minimalist, but Groovy”, or let them decide for you! Regularly just $3.49 + free US shipping, use coupon code MSA50 to save 50% off – bringing the cost down to $1.75! For a limited time, use coupon code MOM20 to get 20% any length Piquant Post subscription! Check out our Piquant Post reviews for more information! Offer valid on regular and gift subscriptions. May boxes will ship on May 8th, in time for Mother’s Day giving. Use code MSALip to get $10 off plus a free Pure Cosmetics Pure Illumination Light Up Lip Gloss in Party Girl Pink or Ooh La La! Check out all of our Vine Oh! reviews to learn more about this box! Use coupon code 10WELCOME to save $10 off of your first CAUSEBOX! (Regularly $5.95). Check out all of our Book of the Month reviews to learn more about this subscription box. For a limited time, use coupon code MSAJETSET25 to save $25 off your first box! Your first box will be the Summer Box – check out the full spoilers of the Summer 2018 Box of Style here! For a limited time, use this link to get a free trial box from Harry’s – just pay $3 shipping! 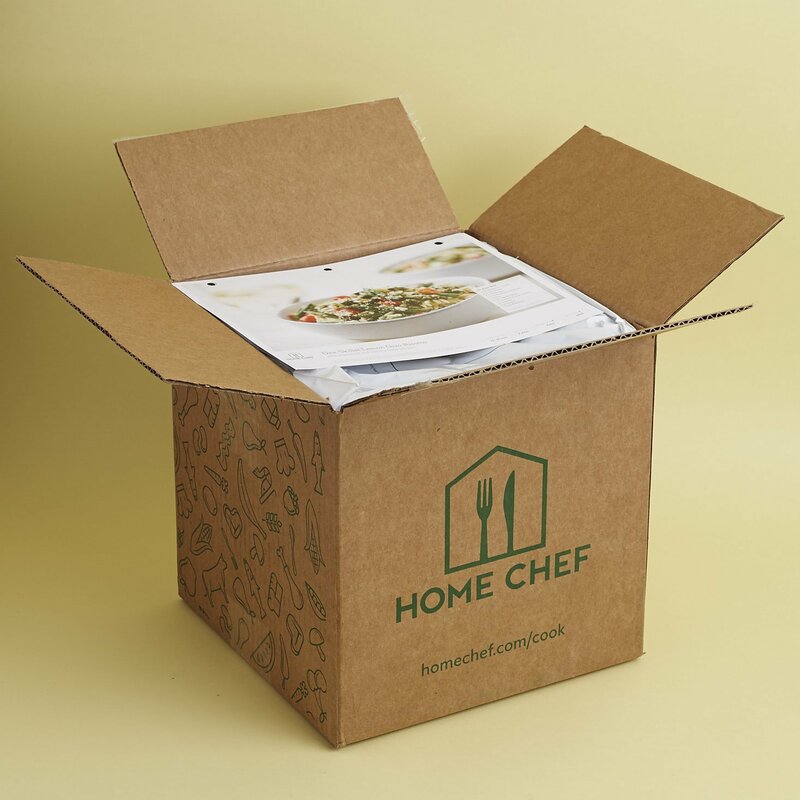 Check out our Home Chef Reviews to find out more about this meal kit delivery subscription. Use coupon code MSABONUS2018 to get your first month of Degustabox for only $9.99. (Regularly $19.99). Your first month will also include a free gift! Degustabox includes 10-15 full-size items packaged food items each month, with a retail value of $30+. Check out our Degustabox reviews to find out more about this packaged food subscription box. Fabletics is having a Flash Sale! For a limited time, new VIP members can use this link to get your 2 Fabletics leggings for $24! Check out our Fabletics reviews to learn more about this monthly workout clothing subscription. Use coupon code sale5.99brt in the cart to save $21 off of your first month of Candy Club! Or – if you’re looking for bonus candy in your first box – use this link to get 3 bonus candies in your first box! Candy Club is regularly $29.99 + $8 shipping per month for up to 3 pounds of candy. Check out our reviews of Candy Club to see what you can expect with this subscription. Julep has a new free gift! They are offering a new free 12-piece Full Size Nail Polish Set when you sign up for a Julep Maven subscription! Hello Fresh has a new deal for new subscribers! The Cost: The Classic Food Box (for omnivores) starts at $9.99 per person per meal. The Veggie Box (for herbivores) starts at $9.99 per person per meal. The Family Box (for families) costs $8.74 per person per meal. Hello Fresh announced that starting in March, they will offer two plans: Unlimited Meal Choice ($11.50 a meal) or Basic Plan ($9.99 per meal). Learn more here! Get your first 4 snack sampler free, no coupon required, just use this link. For anyone thinking of signing up for bulu box for the fitness tracker like I did, be aware that you’re first box will be June since it’s after the 5th. That is what my email said, so not sure if I get tracker or not. I have emailed them to find out. Have you heard back from them?